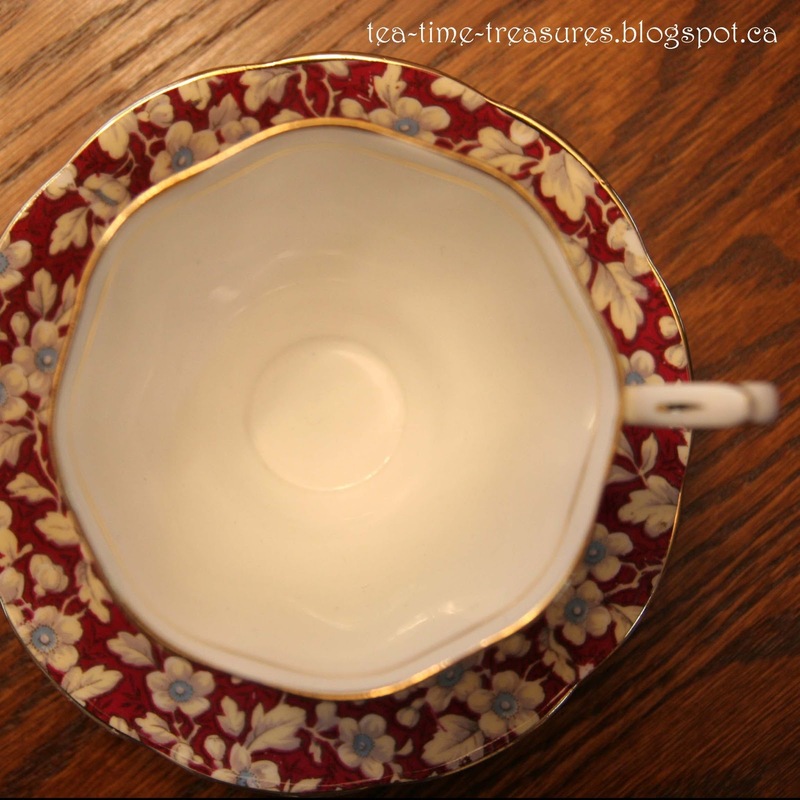 Here is the third 25 cent tea cup I found. 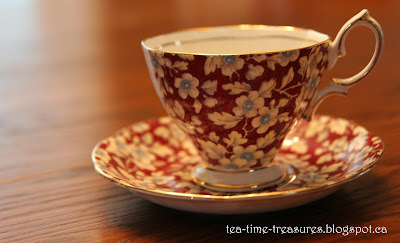 I love the deep burgundy colour and it's quite different from any other tea cup I have yet! 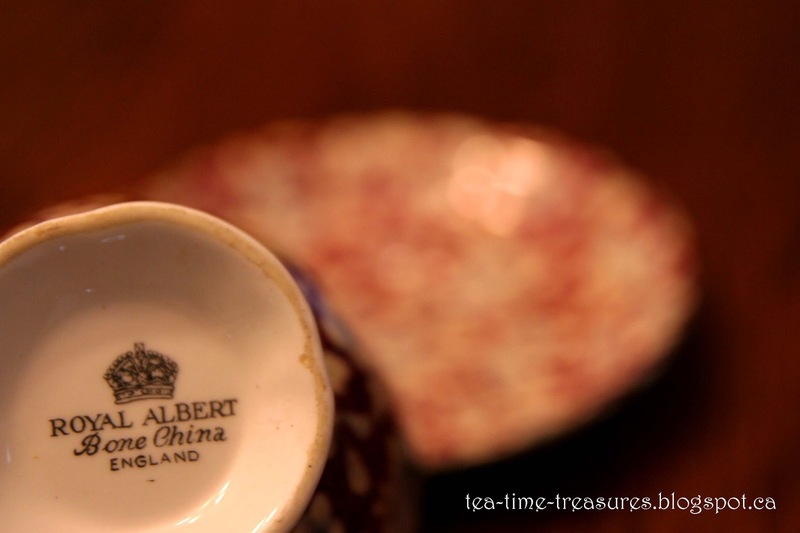 This tea cup is Malvern, I believe. The backstamp indicates that it was produced sometime in the 1960s or 1970s. I have this exact set ( a gift from my mother)! Now my saucer is missing. :( Where did you find yours? I have been scouring the net trying to find a replacement, but the only replica i've found is yours. Thanks for the info!